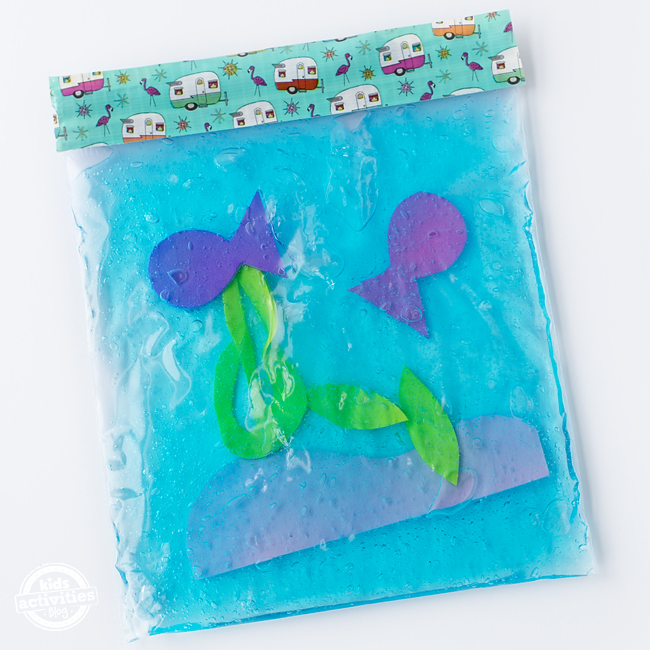 In this post, learn how to make a colorful no-mess Under the Sea Squishy Bag, perfect for playtime! We decided to turn our love for that song into a colorful squishy bag! 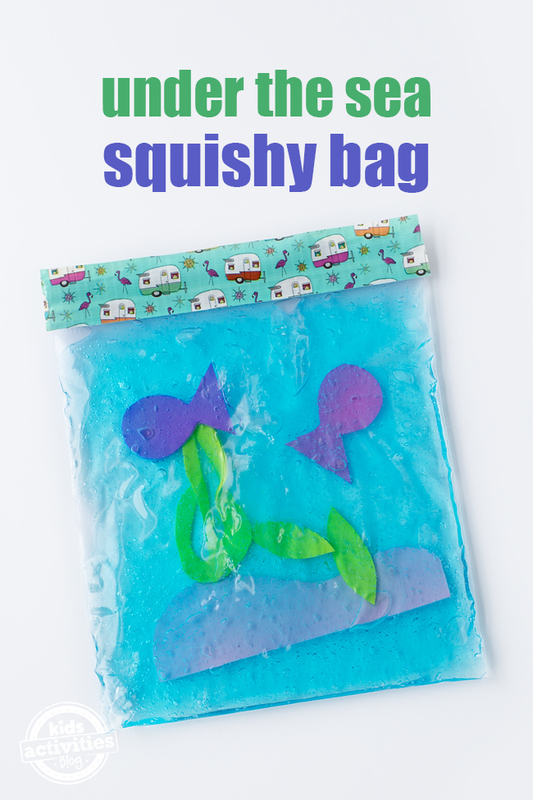 All supplies for this squishy bag were purchased at our local dollar store, making it frugal and fun for kids. Squishing the foam pieces to create the ocean scene is great for developing fine-motor skills, but we also used it to practice letter formation. 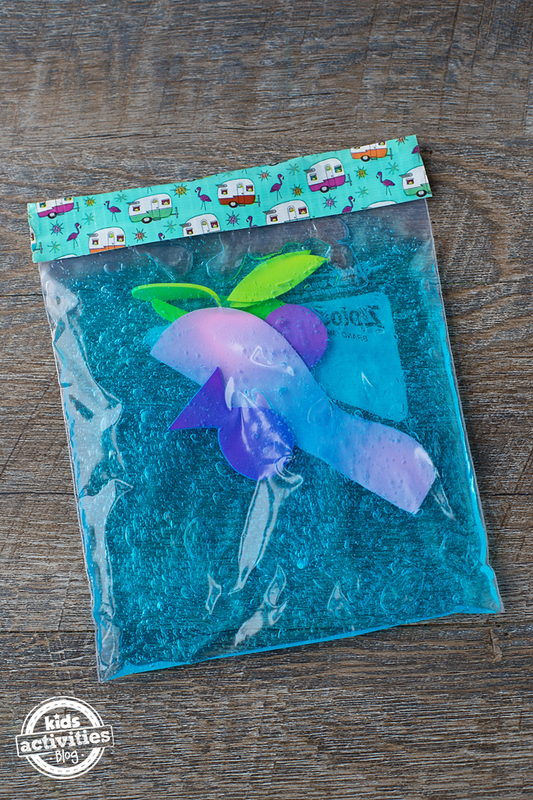 Kids just love to squeeze and squish the gel in the bag. 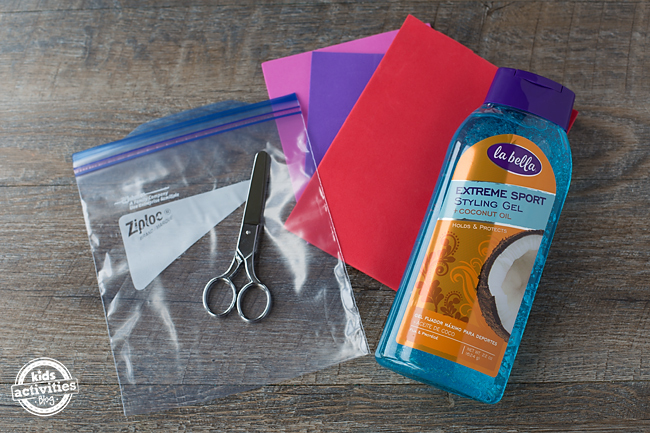 After gathering supplies, open the bag and fill it with blue hair gel. If you would like your child to do this task, it helps to place the open bag into a mug. That way, kids can squeeze the bottle with both hands and don’t have to worry about holding the bag open too! 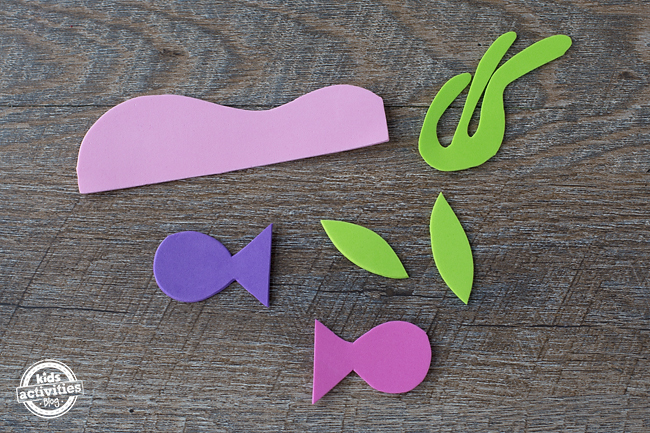 Use the scissors to cut out sea creatures and sea plants. We drew ours out first with a marker. We even made a sandy ocean floor with light pink foam. Place the foam pieces into the plastic bag. Squeeze out excess air while you close your bag, then seal it with Duct tape. 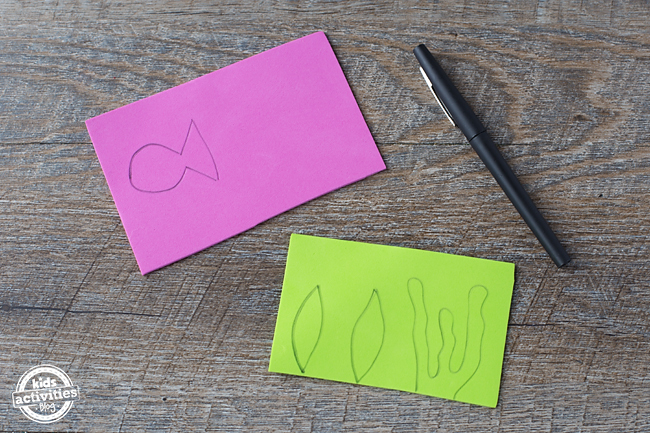 Invite your child to use their fingertips to gently slide and push the foam items to create an under the sea scene! Click the links below to view more creative ocean crafts for kids.